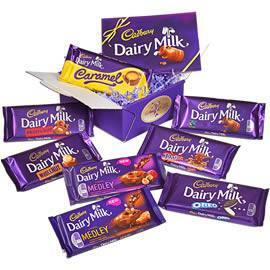 A box of Cadbury Milk Tray. 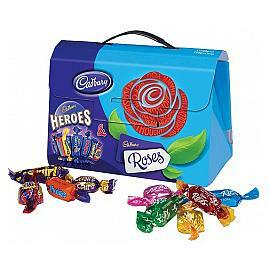 A carton of Cadbury Roses. 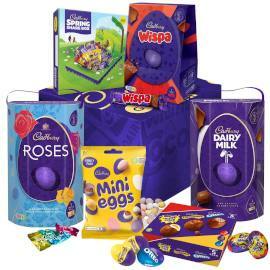 A carton of Cadbury Heroes. A bag of Cadbury Dairy Milk GIANT buttons. A Dairy Milk Daim Bar. 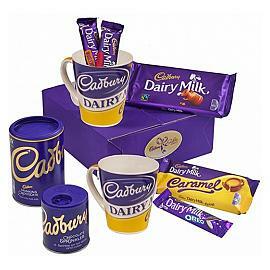 A tub of Cadbury Hot Chocolate. 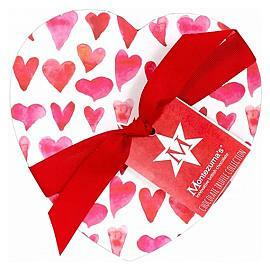 Also in the hamper is a special 'I love You' edition Cadbury Dairy Milk Bar and you can add gift card with your own personal Valentine message at the checkout. 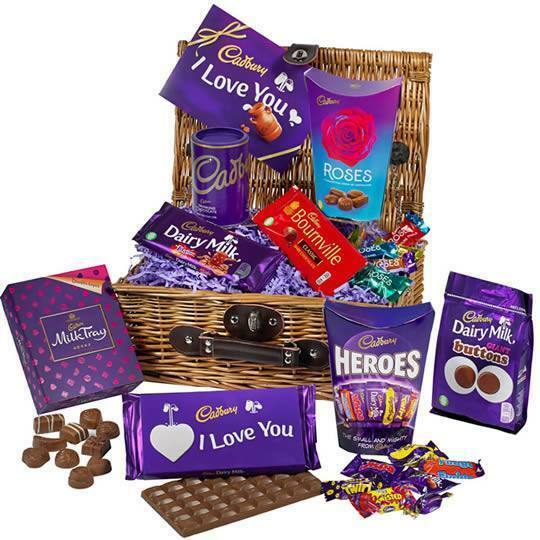 A special Valentine's Day hamper filled with a selection of Cadbury chocolate for your Valentine.